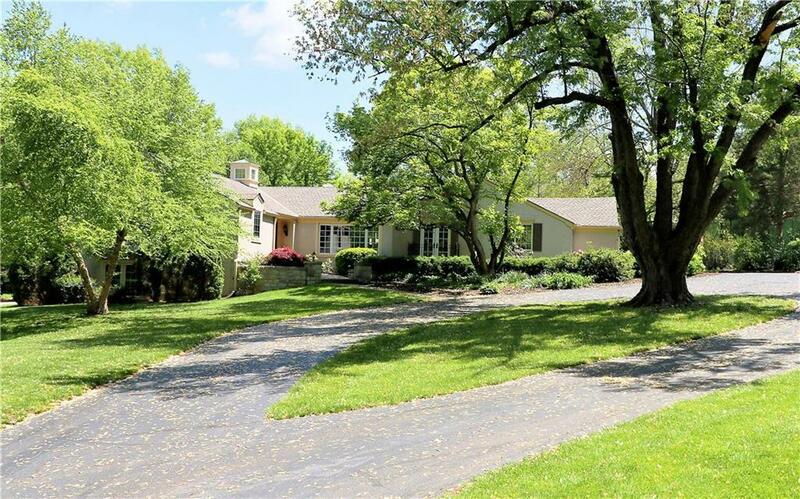 Home looks and lives like one your might find in the European countryside - yet it sits on nearly 2 acres in the heart of old Leawood. Unique & fabulous with stunning views and an overall gracious feeling. Much to enjoy: Sun-filled great room opens to kitchen, generous dining & living rooms, private master suite, daylight LL with game & media areas. A picturesque setting complete with screened porch, gunite pool & sport court. The historic barn brings the dream of "country life in the city" to reality. Directions: 95th to Lee - North to home or 83rd to Lee and South to home.